Rod wrote: After 25yrs ???? Well, you've either got it or you ain't ! Archaeology - my career in ruins ! Are you venturing south this weekend to Duns ? Damn! I haven't been on the forum recently and had forgotten all about it. How great that would be? 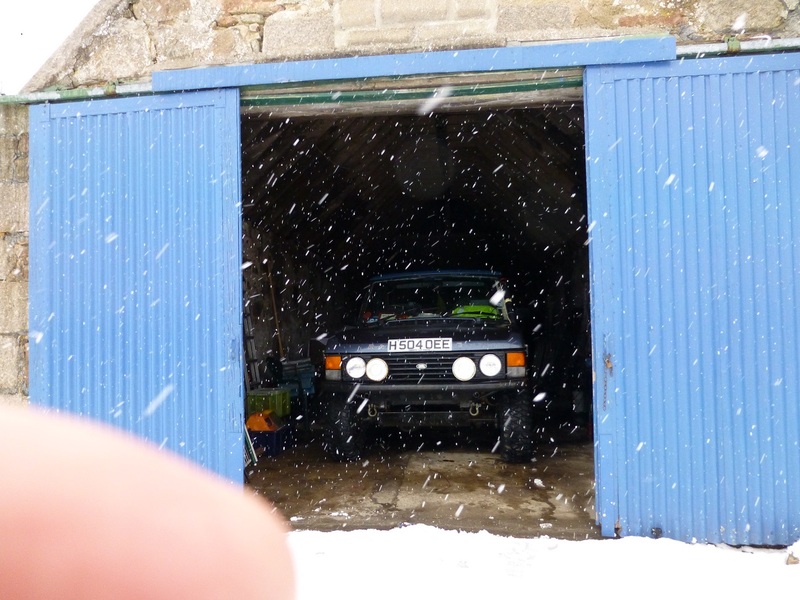 But on Sunday I am visiting friend of mine who is up here on an aurora holiday who I haven't seen for nearly 30 years and who has had a stroke, and on Saturday I will be changing the rear diff The good news is that I still have the one I took out of that golden Disco when I scrapped it. it takes the form of a complete engine cut for maybe half a second and - depending on other factors (see below) it will happen repeatedly so that the whole vehicle kangaroos unless I ease off the throttle. it is throttle dependent - it will tickover fine and runs ok on very light throttle openings, but happens more if I open the throttle more. Removing the filer cap makes no difference. If I pull up while it's happening and check the clear fuel filter which is on the return-to-tank pipe, it's flowing nicely. The plugs look ok (possibly a little lean but not bad, and no wet ones. Happy New Year! Hope you are all well and enjoying life in sunny Yorkshire! Good to hear from you Roger! And Happy New Year ! I'll never love the sound of my Defender with the Td5, and it is a lot slower, but I'm so glad to have rid myself of the LPG hunting trips! Hope all continues to go well for you - and don't forget if North of the Border do vote for Independence, you are quite welcome to come back! Thanks Pam. Must admit, I too have been thinking of going over to the dark side! Yorkshire was great - but where I am now is, in many ways, better. I miss some friends, some pubs and the off-roading, but I have such fantastic hill walking and mountain biking right on my doorstep that I am too busy doing stuff to dwell on such matters. BTW - I DON'T miss the traffic, the crowds and the traffic, oh and the traffic too. Nothing is impossible with the right attitude and a big hammer.